With 2016 winding down for many of us in the real estate industry, it is time to start planning our digital marketing strategies and budgets for 2017. You know, we all try to start the new year with new resolutions and good intentions, but somewhere along the way things get messed up and you end up achieving only a small part of what you planned. If your goal is to attract more real estate leads, increase your rankings in the digital marketplace and boost your online brand, then there’s no time like the present to understand our wins (and losses) from the current year. How do you do this? A great place to get started is by using Google Analytics (GA) to evaluate your past and present online business. GA allows you to study your results to figure out what type of website content best resonates with your clients. You do have a Personal website right? If not you are already off the pace as many top performers now rely heavily on their “Personal Real Estate website” as a personal branding vehicle as well as a lead generation tool. If you do not have your own “personal website” then I suggest that you check out Personal Agent Sites who build the most powerful, fully functional, branding and lead generation websites for real estate agents. You can read our extensive review on why every successful real estate agent will have their own website here. We see that 2017 will be the year of Facebook and Google Vendor Paid Advertising, with agents increasingly incorporating options to advertise specific properties on these channels into their advertising schedules. This is a great way to offer something that your competitors do not offer. Facebook ads for a listing. These ads can be super targeted and quite low cost. When it comes down to winning that listing offering Facebook advertising may just swing the deal. Your potential clients are on Facebook now and probably wondering why you are not using it to promote their property. We have some specific strategies for boosting your online profile especially with Facebook. Watch this video for a great Facebook marketing idea. Your Facebook marketing efforts will be wasted unless you’re tweaking them based on analytics. Monitor how many people are clicking on your photos and videos, and how many are opening the link to your website. Check out how long people are staying on your website for, once they’ve navigated there from Facebook (you might need to set up a Facebook Pixel for this). Pay attention to the content and timing of the posts that perform the best. Once you get a sense of what consistently does well and what does poorly, adjust and experiment. In November 2015, Facebook reported an average of eight billion daily video views from 500 million users on its platform. Translation: if you’re not already creating video content on Facebook, the time is now. Produce a video version of your neighbourhood guide, or create a tips-and-tricks video, starring you. Remember: shorter is better, the first few seconds need to be interesting to maintain interest, and don’t forget to add captions — videos automatically play on mute when they appear in a user’s newsfeed. Video marketing can be a costly expense but real estate agents who are using it to showcase listings are seeing a significant return-on-investment (ROI). According to Inman in the US, 85 percent of buyers and sellers want to work with an agent who uses video. In addition, homes listed with video get four times as many inquiries as those listed without video. The evidence in Australia is showing similar results as well. Once you’ve shot and edited your videos, YouTube should be your default upload location. Consider setting up your own real estate channel on YouTube and be sure to use search-friendly keywords or property address in your video titles. Once they are published, you can easily share the videos via your other social networks and embed on your website. Drones, or unmanned aircraft systems, are also a great idea because they can show potential buyers in abundant detail aerial views of the entire property, proximity to amenities and much more. Recently I have been approached by a few businesses that have realised that they have 1 Star rating on Google placed their by upset customers (or their competitors). As they have not been monitoring their online reputation they were unaware of this situation, until a potential client mentioned it. in both cases they were able to still win the business but what is not able to be measured is how many people saw these poor reviews and did not even contact these businesses. 2017 will be very much about proactively building a solid online reputation. How would you prefer to appear online with great testimonials (reviews) or nothing. Either way, it is your reputation, take an active interest in presenting yourself or your business in the best possible light online. Now this may not be anything new, but sometime things that work, just continue to work year after year. Email marketing is a great way for real estate agents to stay top-of-mind with clients. It’s important for real estate agents to stay in contact with their clients on a regular basis so when the time comes they need your real estate expertise, they’ll contact you over the competition. Email marketing is convenient, keeps lines of communication open and allows you to pass along valuable information that benefits the client. So what should you discuss in your emails, well it is all of the great information that you have in your head, you know the stuff you think everyone knows. Well the trouble is that your clients don’t know this market place informations, so you can really impress with your knowledge of your market place. This will help you to build an online following within your marketplace so prospects and customers continue to come back to you for knowledge and advice. Write share-worthy blogs and content. Write articles for your website. Make short real estate videos to post. Then you are becoming a Real estate influencer in your marketplace. OK so it is almost Christmas so lets include a bonus tip. Tip number 6. I know this is the most boring tip I can give you, but it is also probably the most important. SEO or search Engine Optimisation simply means helping your website to rank higher in Google Search results. So that when someone types in “Real Estate Agent you town” you can be found. There is so much to SEO that we have created a 25 point checklist for Real Estate SEO which you can download from here. Tip number 7 for the new year. And another tip if you are wanting to set some really powerful goals for 2017. 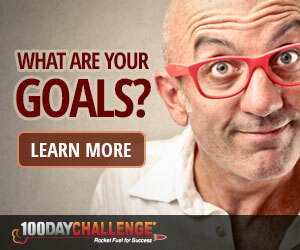 Check out the best goal setting and accountability program on the internet. Download the manifesto and signup, to launch yourself into 2017 at a great rate on knots. Remember at eighty8two we can help you with any of your Real Estate marketing requirements so give us a call. We are eighty8two and we love growing Property Management portfolios and Real Estate Businesses. Talk with us about how we can generate more leads for your business.